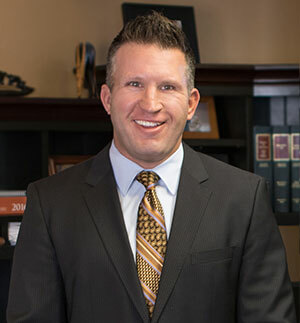 Do you need a skilled and experienced work injury attorney in Aurora? Workers injured on the job often come to us feeling overwhelmed and helpless. Being denied workers’ compensation benefits by your employer or their insurance company can be a devastating blow. In times such as these, it is important to remember that you’re not alone. The Babcock Law Firm fights for the “little man” by standing up to major corporate interests and insurance companies. We are committed to obtaining the compensation our clients deserve for their work injury, and we’ll fight tooth and nail until we’ve secured the best possible outcome or exhausted all options. Check out our client testimonials to learn how we were able to provide results in Aurora injury cases like yours. Description: Have provided representation for concurrent workers' compensation cases involving two different insurance companies and injuries to his shoulder, knee and hip. "I'm writing this review on behalf of my husband. &quot;Mack and Jan and Mack's staff have assisted me with all the many ongoing issues that occur with a Workman's Comp injury. Since our very first meeting more than five years ago, Mack and Jan have provided ongoing, comprehensive, personal and timely support regarding my cases.&quot; "